The Best Shark Dive in the World! : Dominican Republic: Shark Sanctuary! 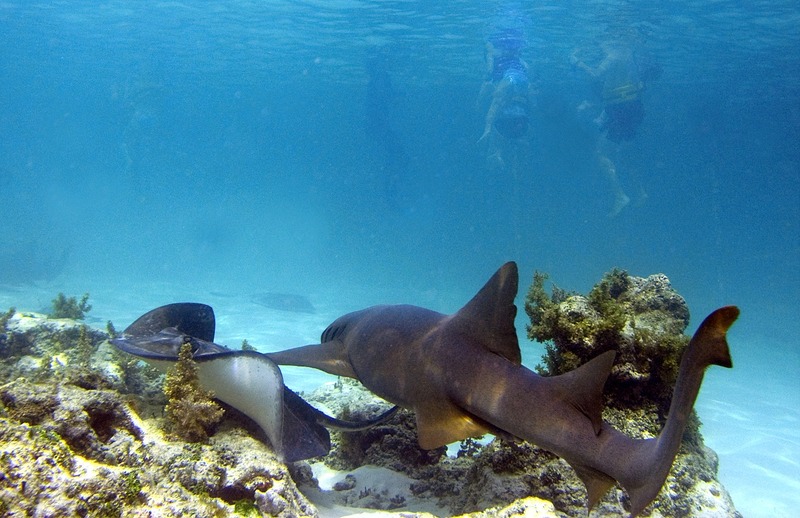 Still in its infancy: Dominican Shark viewing tourism. Source. The linked article tells about an indefinite fishing ban for Sharks and Rays, a 5-year moratorium for Sea Urchins and a 2-year moratorium for Parrot- and Surgeonfishes which is all excellent and once again cements the position of the Dominican Republic as a visionary conservation leader in the Caribbean. Where others brazenly claim credit where no credit is due, Rick praises others where much of the credit is his. In fact, this is actually his seventh Shark Sanctuary in the Caribbean - remember back then three years ago? So, once again, bravo my friend. I'm proud of 'ya in so many ways!